Where better to spend the chilly winter months than in a cosy cabin – ideally one with a wood-burning fire? We’ve delved into our archives to curate a selection of some of the best cabins you can rent, with something for every type of holidaymaker. For skiers, we have a winter retreat in Minnesota, for walkers we have a modern haven in British Columbia, for romantics, there’s a bucolic Dorset treehouse, and for sun seekers, we have a literary-inspired idyll on the Mexican coast. Take your pick. 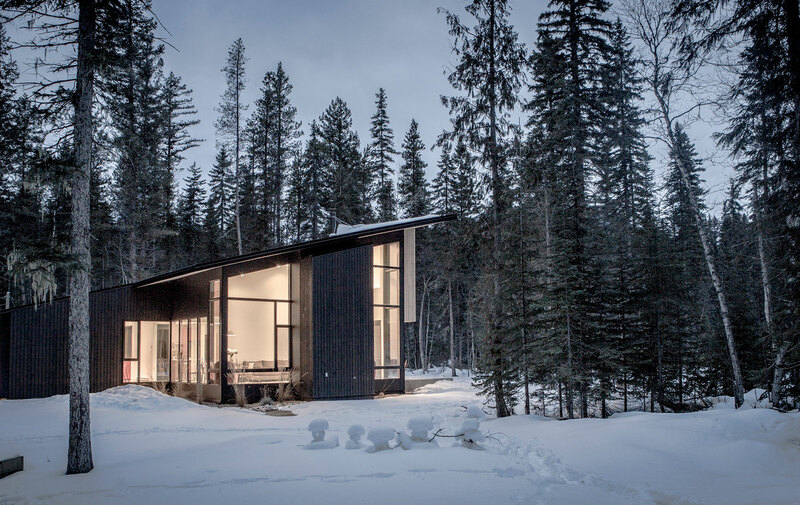 The Pioneer Cabin, nestled in a woodland wilderness near the Blaeberry River, is a prefab design conceived by D’Arcy Jonesy and manufactured by brothers Ryan and Jeff Jordan. It’s a haven for winter sport enthusiasts, who can enjoy hiking trails, mountain climbing, canoeing and rafting. More leisurely guests can soak up the 180-degree views of forest, mountain and river from the comfort of the sitting room. Find literary inspiration as well as winter sun in this Mexican bolthole. 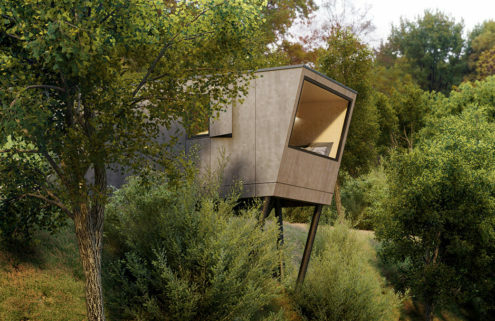 Casa Tiny is a modern reimagining of Henry David Thoreau’s lakeside cabin in Massachusetts, where he spent two years living off the grid and writing his novel Walden. 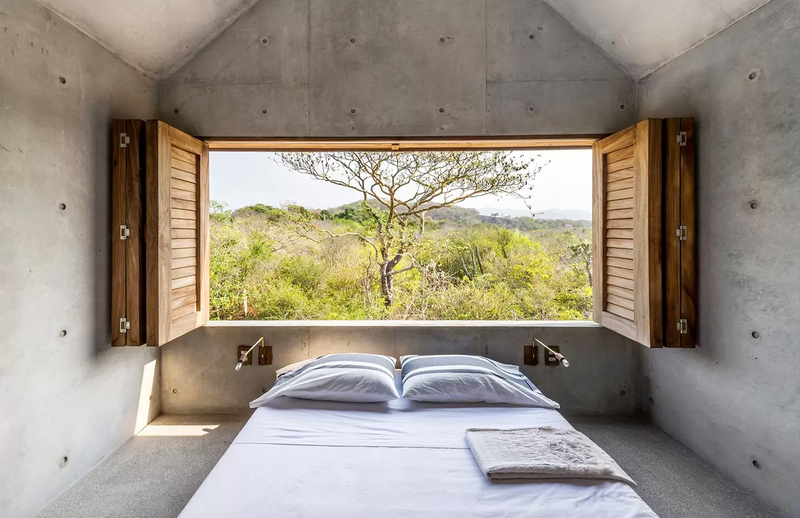 A collaboration between architect Aranza Arino and director Claudio Sodi, the cabin is built from smooth concrete, with retractable wooden doors that usher the landscape in. 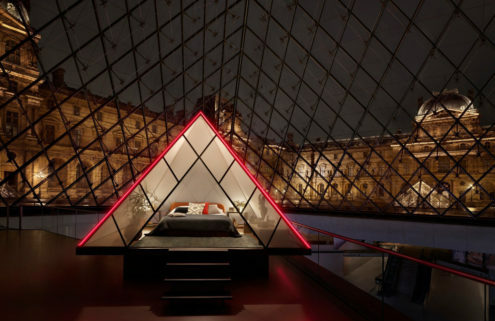 It offers a ‘back to nature’ experience, albeit with modern amenities. 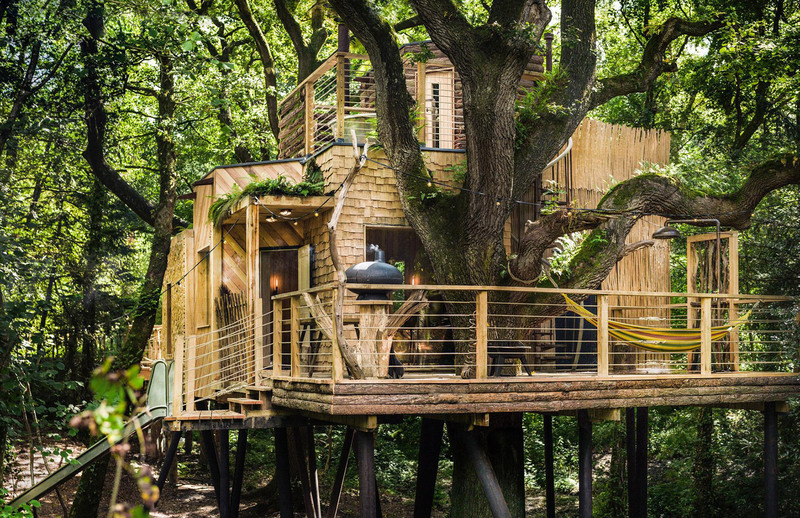 The Woodman’s Treehouse – designed by Guy Mallinson and Keith Brownlie – has a fairly tale feeling that befits its name. Sitting 30ft in the air on stilts, in the branches of three veteran oaks, the cabin combines a charmingly rustic appearance with luxurious amenities including a sauna and a hot tub. 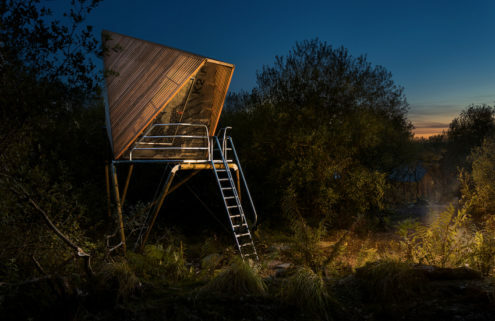 A window over the bed opens up to the forest canopy, while there’s a stylish detour to the forest floor in the shape of a stainless steel slide. 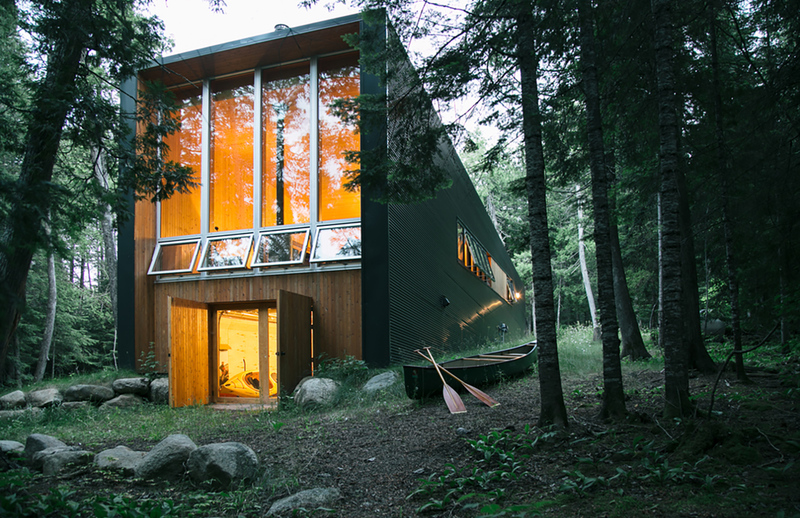 Out on the edge of Gunflint Lake, VJAA has created a simple, compact cabin that blends a stark exterior – clad in weather resistant black metal – with a cosy interior, complete with three bedrooms, wood-burning fires and a sauna. Totally out of reach of telephone or Internet reception, it’s perfect for anyone looking for a digital detox. Instead, guests can fill their time with skiing, snowshoeing or walking in the woods. 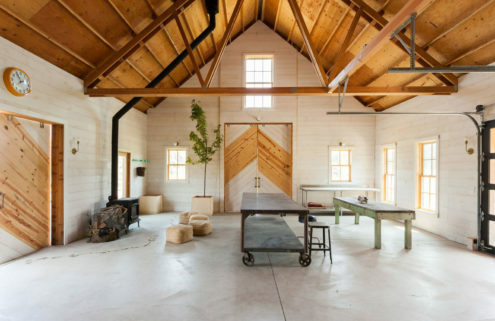 In an architectural retelling of the Ugly Duckling, this cabin was recently transformed from the chickenshed of its name into an elegant four-bedroom dwelling. 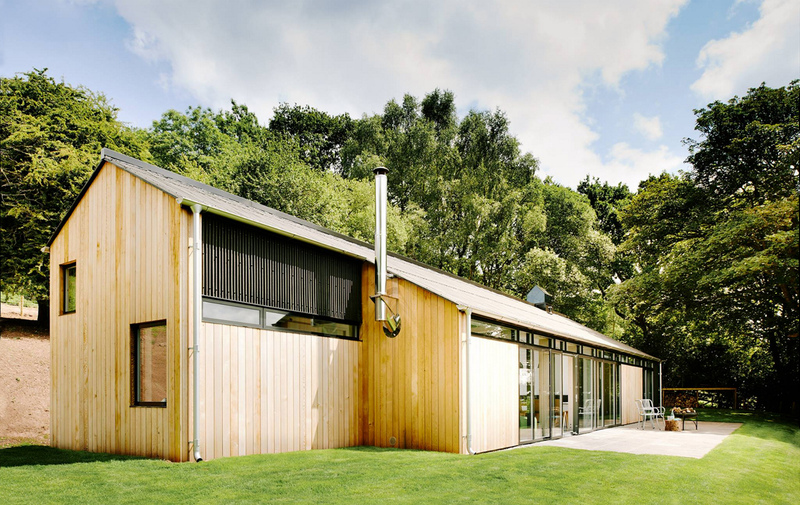 The farmyard cues are still there in the red cedar clapboard exterior and corrugated roof, while the interior takes a modern line, with an open-plan living area and large windows opening onto the garden. If you feel like some winter sun, then this cedar structure on New Zealand’s South Island could be the answer to your prayers. 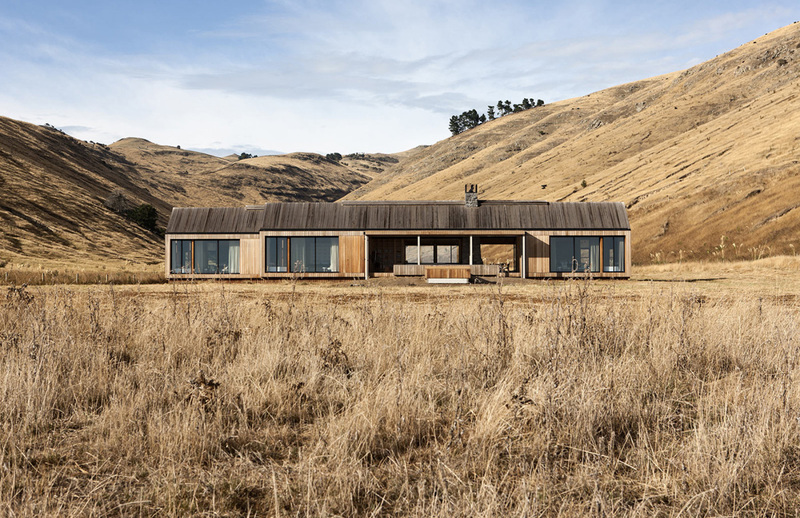 Sleeping up to 14 people, the single-level cabin designed by Kiwi practice Pattersons is set among gently rolling hills, just metres from the shoreline. Guests can relax in front of the open fireplace or in the jacuzzi, or do some dolphin-spotting through the huge floor-to-ceiling windows.